Have an unforgettable customized birthday party experience in the Automobuild store in Los Gatos. Kids will enjoy a fun, interactive and educational building experience and so much more! Easy for parents too! Additional children are $10 per child with a maximum of 20 children. This $10 fee per child will be added to your gift card for purchasing a build project. Birthday parties will be held during store hours. Birthday party slots are available on Saturdays and Sundays from 10:30 a.m.- 12 p.m. and 3:00-4:30 p.m. All other times during the week are available by request. 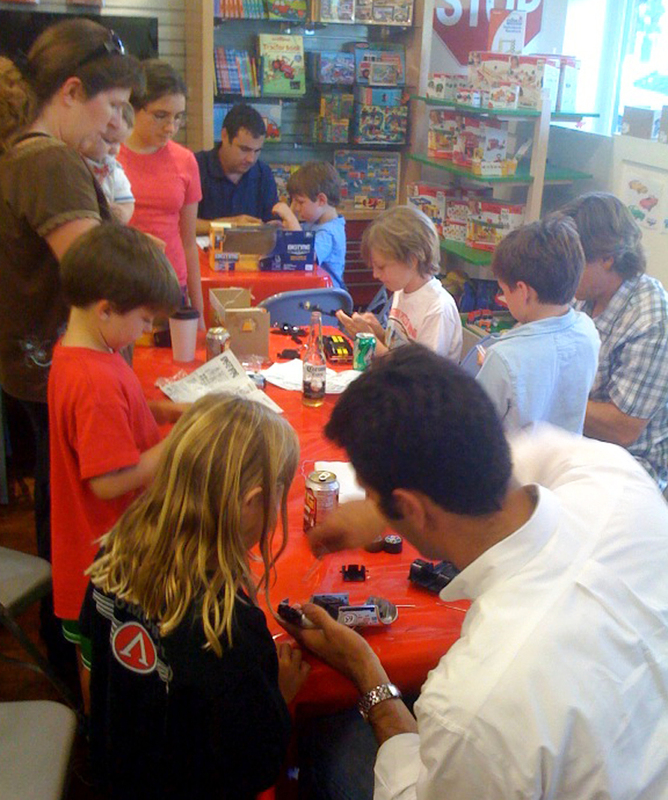 Have an unforgettable customized birthday party experience in the Automobuild store in Los Gatos. Kids will enjoy a fun, interactive and educational building experience and so much more.